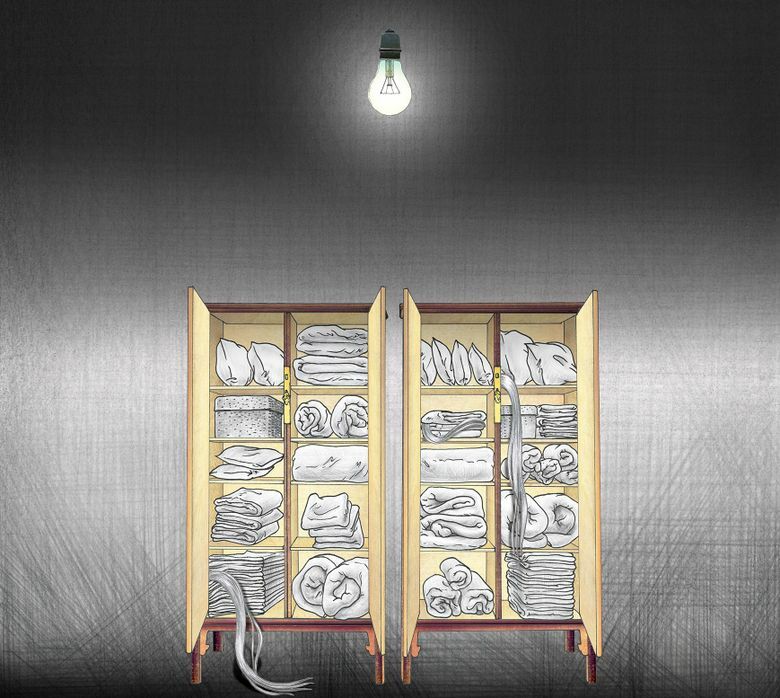 A review of Tabaimo’s “Utsutsushi Utsushi,” a video installation at Seattle Asian Art Museum that draws on items from SAAM’s permanent collection for inspiration. Something old meets something new in the video installations of contemporary Japanese artist Tabaimo. Her playful deconstructions of spatial sense and image-continuity in “Tabaimo: Utsutsushi Utsushi” may strike you as surreal or even freakish. But they’re rooted in centuries-old traditions. So what is “Utsutsushi Utsushi”? 10 a.m.-5 p.m. Wednesdays-Sundays, 10 a.m.-9 p.m. Thursdays, through Feb. 26. Seattle Asian Art Museum, 1400 E. Prospect St., Seattle; $5-$9 (206-654-3100 or www.seattleartmuseum.org). Tabaimo’s obsession with “utsushi” stems from her mother, Tabata Shion, a noted ceramist in the “utsushi” tradition who took revered artist Ogata Kenzan (1663-1743) as her “master.” If Shion’s “utsushi” (eight examples of it are included in the show) offers subtle variations on Kenzan pieces, her daughter’s room-sized installations, with their leap into an audiovisual medium, are a radical break. SAAM invited Tabaimo to search through its permanent collection for inspiration. The result: Four new pieces, created specifically for this show, take their cue from SAAM treasures presented alongside the videos. 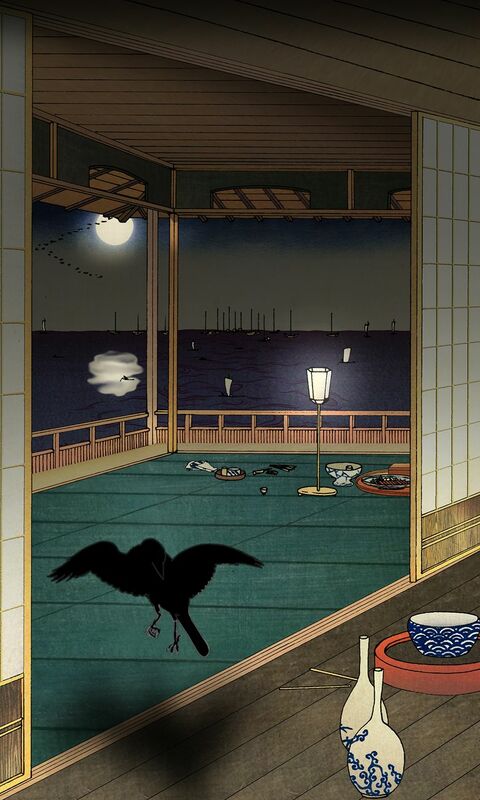 Tabaimo’s “Crow” brings “Crows,” the museum’s famous 17th-century Japanese ink-and-gold-on-paper screens, to animated life to the calming sound of a temple bell. 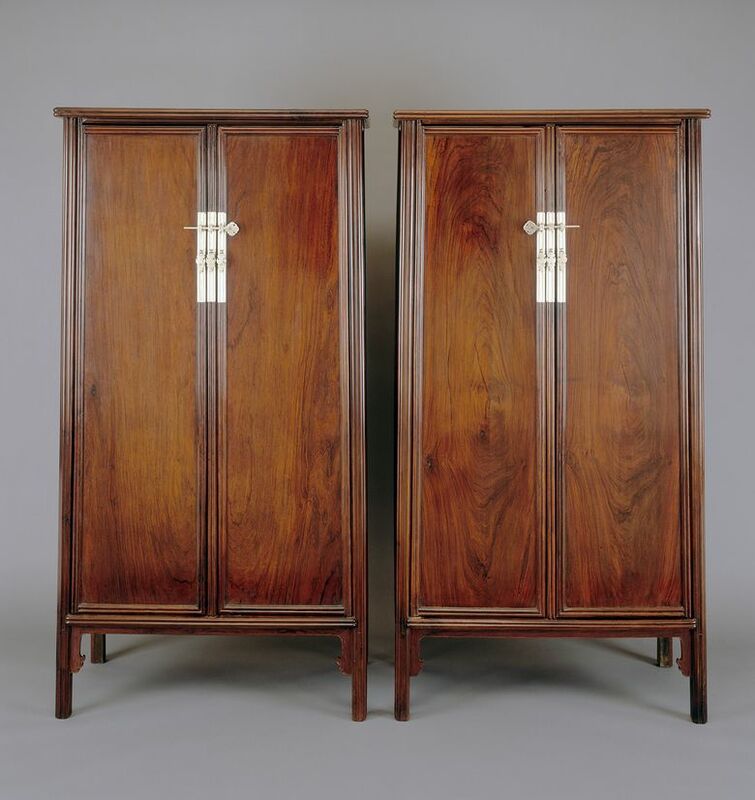 “Two” opens a pair of 16th-century Chinese wood-hinged cabinets into a world of antic hallucinations. “Insects in Painting” pays delicate, fluttering tribute to two mid-19th-century hanging scrolls, “Butterflies” and “Dragonflies,” while still having some illusion-breaking fun. 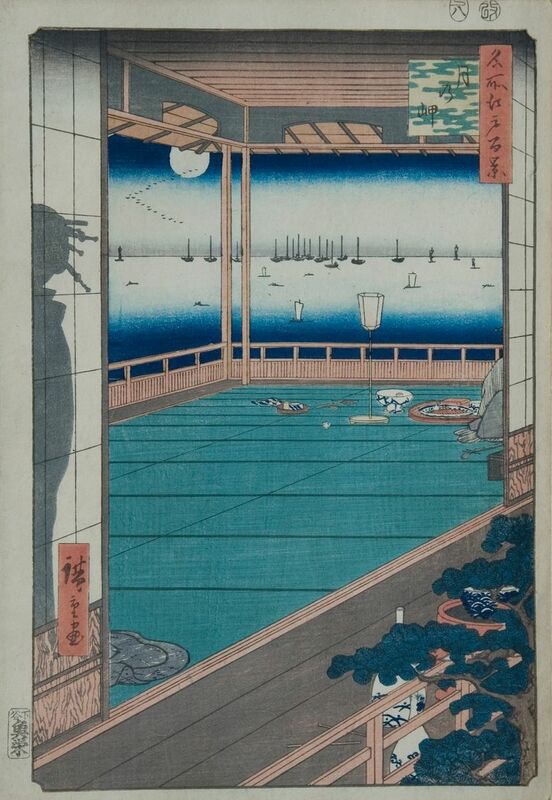 “The Obscuring Moon,” the most elaborate of the SAAM-inspired pieces, starts with imagery from an 1857 Hiroshige woodblock print, and populates it with writhing octopus arms, a silhouette that isn’t what it seems, and more. While Tabaimo cites the color sensibility of Japanese printmaker Hokusai as an influence throughout her work, the earlier pieces in the exhibit feel equally indebted to Japanese anime. “public conVENience” (2006), the most attention-grabbing, is exactly what it says: a cartoon diorama of a Japanese public restroom, with strange events unfolding within it. A tortoise struggles against the currents of a flushed toilet. One patron, in obvious discomfort, retreats to a cubicle to give birth through her nose. The entire room rotates on its axis at moments. Mirrors sometimes reflect what’s before them — and sometimes come up with reality-contradicting images of their own. Tabaimo’s hand-drawn animations are in the usual herky-jerky Japanese style (as opposed to classic Disney fluidity). But their surreal and macabre flourishes, and the games she plays with perspective, lift them out of the ordinary. In “aitaisei-josei” (2015), for instance, a portion of an actual couch and actual table connect with a wildly shapeshifting room where things go bump, click, splash and gurgle in the night. The table suddenly extends itself elastically to “tidy” the couch. A shining moon overhead abruptly plunges into a watery abyss below. “Haunted House” (2014) recalls Hitchcock’s “Rear Window,” as it spies on a city neighborhood through a telescope that lands on various human activities — some violent, some benign — on various scales at various distances. Tabaimo says the aim of her variation on “utsushi” tradition is to “connect the past and future through the present.” You could say all contemporary art does that. But hers pulls it off in an especially mischievous and memorable way.